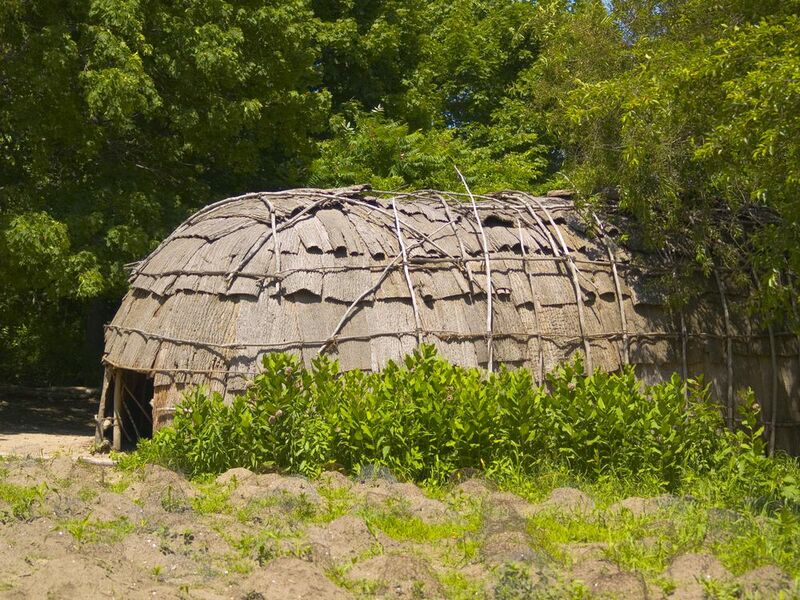 Even though earlier settlements had been made on the east coast, the Pilgrim Village at Plimoth Plantation, is firmly planted as a major milestone in the birth of America. Plimoth Plantation is a popular Massachusetts attraction located just outside the town of Plymouth, about 40 miles south of Boston and off Route 3. The 1627 authentic Pilgrim Village is a celebration and a link to our past. Although the Pilgrims first landed near present day Provincetown they quickly decided Cape Cod was not a suitable place for a settlement. 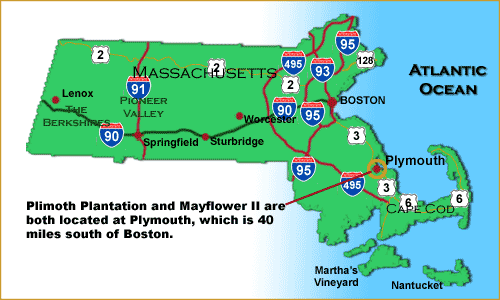 But forced north because of the weather and dangerous shoals south of Cape Cod, the pilgrims finally came ashore in late November in present day Plymouth center. That first winter at Plimoth Plantation decimated the settlers due to cold and disease. Of the 102 that came ashore only 52 were left in the spring of 1621. The native Wampanoag men showed the survivors how to plant corn and in October 1621 the Pilgrims celebrated their first harvest at Plymouth Plantation. Later generations would recognize the significance of the harvest by setting aside a special day we now call Thanksgiving. And this day, more than any other in our calendar, binds every American to the fateful voyage in 1620. Thousands of visitors make the pilgrimage (I know a bad pun!) 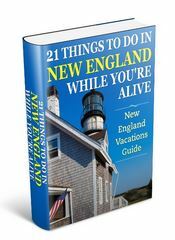 to these places to get a taste of life in 17th century New England. And they are not disappointed. 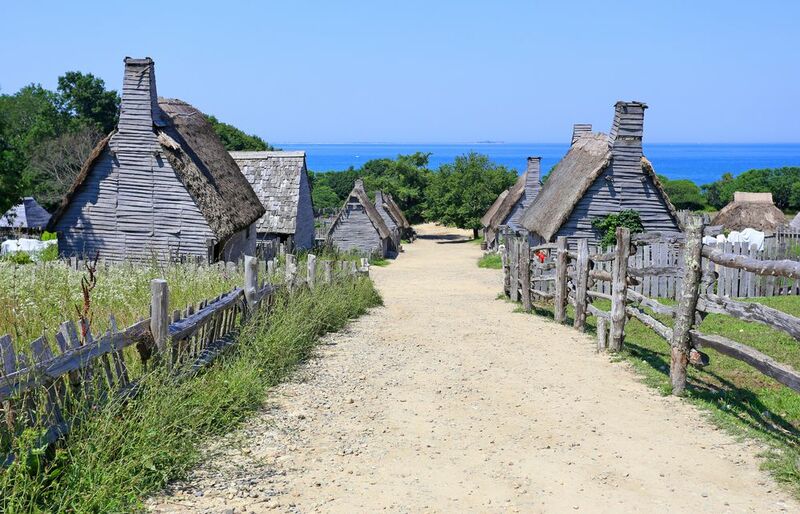 Though the original Plimoth Plantation village is now where downtown Plymouth stands, this reconstructed, yet authentic village, is only a few miles along the coast. 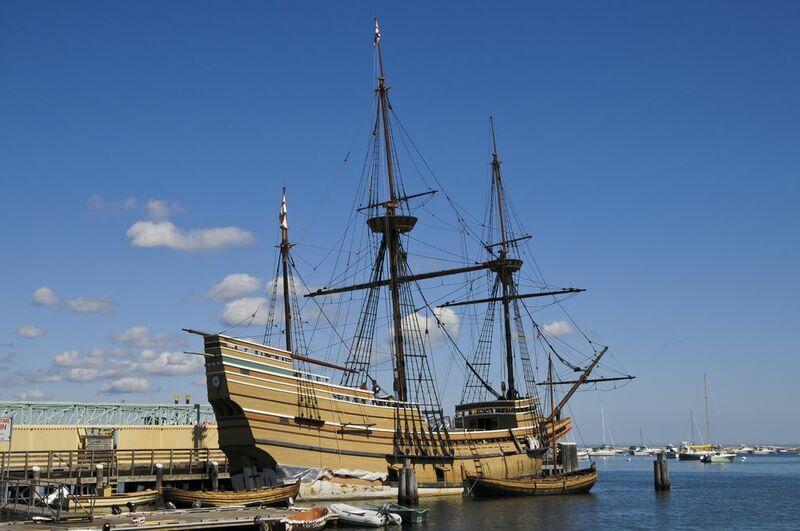 Most people buy a combined ticket for visiting Plimoth Plantation and the Mayflower II, and experience them in that order – the Mayflower is docked in Plymouth town so you can’t walk between the two sites. An orientation movie and collection of artifacts greet you at the Henry Hornblower Visitor Center. Plimoth plantation itself is a loop tour with two primary sites, the 1627 Pilgrim Village and the Hobbamock’s (Wampanoag) Homesite. The stroll from the museum down to the main village passes by a craft center and crop fields. The 1627 Pilgrim Village itself is full of buildings and gardens. Everything is plain and productive, and authentic. The people of the village dress, talk, and act as best we know they would’ve on the original Plymouth Plantation. But that doesn’t mean they are aloof or communicate in riddles or a strange tongue. Their aim is to educate and entertain but still remain true to the era. I’ve always found they’re engaging and excellent in this balance. Take the time to ask questions about lifestyle habits in early colony days. Explore the people as well as the village. The stroll out of the village along the Eel River walk takes you to the Native People homesite. As I said earlier, the Pilgrims would not have survived the first year had it not been for help from the Native Peoples. They taught them about the region and its agriculture and the resources of the land, and how to thrive. This special area is a home for an extended family not another village. It honors the importance and affinity the Native People have in this region. Take time to appreciate the skills of weaving and tanning practiced at the site, and the use of fire for burning out boats. Go inside one of the houses and notice the materials and bindings used for construction. The inhabitants here do not role-play so feel free to discuss modern day subjects with them. And now… linger for a while longer at Plimoth Plantation, and rest back at the visitor center, or purchase that craft you saw at the store earlier. This is not a place to race through and get on to the next stop. This is the stop. 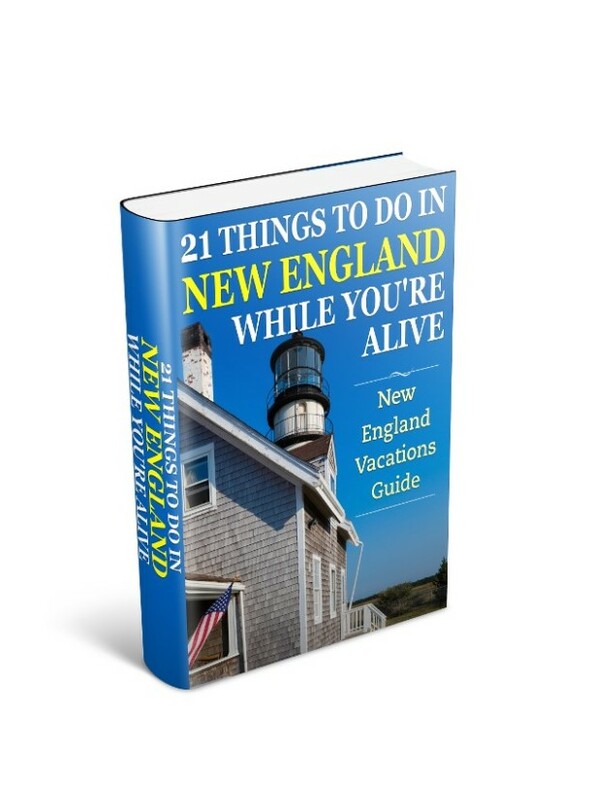 So soak it up, and then when you’re ready to continue, leave Plimoth Plantation and head for town and The Mayflower II replica. As you’ve probably guessed staying in the village itself is not an option for lodging in the area but the town of Plymouth has plenty to suit all budgets and tastes. To discover where to stay deals, and compare rates and amenities with a trusted and professional travel organization then check out Plymouth lodging and accommodations.